Regardless of whether your goal is to loose weight or just simply improve your diet, altering eating habits is a principal component to living a healthy life. Regardless of whether your goal is to loose weight or just simply improve your diet, altering eating habits is a principal component to living a healthy life. Cultivating healthier eating habits is a much more challenging procedure to maintain than you might think. If you are too quick to make drastic changes, you will see weight loss results in the short-term, but this is not maintainable in the long run. Hence, it is critical to institute strategies that promote healthy eating habits and enable success. Several tactics and methods have been outlined by the Centers for Disease Control and Prevention (CDC) to help facilitate healthy diet changes. Using these methods require a thoughtful approach to evaluating current eating habits, substitutions that are necessary, and approaches to support new behaviors. Evaluate your eating habits: Make an honest list or food diary to track your current meals. This method might expose a time of day in which you choose to make unhealthy snack choices. Pay attention to the habits: Look over the habits that may cause you to overeat. Some of these habits could be leading to weight gain, such as eating too quickly, having large portion size, eating when you are not hungry, or skipping meals. Evaluate unhealthy habits: Evaluating these habits and identifying the triggers for these habits can help you to eliminate and improve them. Choose a few that you would like to change and work on them first. Prepare a cues list: Now it is time to figure out what has prompted these behaviors. Reflect on whether the environment or a particular emotional state prompts the habit. Some triggers could include easy access to the cabinet, watching television, not having dinner plans, etc. Highlight the recurring cues and ask yourself questions: Determine the measures you can take to avoid this cue or situation that prompts it. Is there anything you can do differently or healthier in this situation? Circumventing the cue is the best line of defense. Replace the old with the new: If you struggled with eating too much at dinner, plan to put down utensils more often or minimize distractions, like the television, to remain more aware of your eating habits. Incorporate new eating habits and remember to be patient: Not all habits can be learned overnight. Patience is key to success. If you find yourself slipping into an old habit, take the time to stop and evaluate the cause of this behavior. This is likely to happen, but do not let it discourage you. Meal planning in advance is great for promoting healthy eating habits. Strict lists at the market with nutritious items help you circumvent the unhealthy choices. It may seem discouraging at first since this can be such a tedious and long process, but these steps should encourage and warrant outstanding benefits for your health. Being able to recognize the triggers for unhealthy habits and finding ways to avoid them from occurring is the best way to prevent relapse. 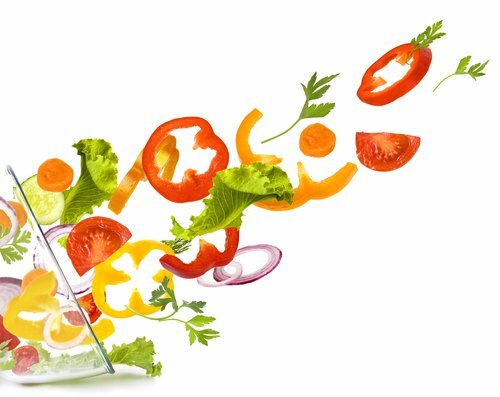 Before you know it, you will be well on your way to making healthy food choices a long-lasting habit. Story, M., Nanney, M. S., & Schwartz, M. B. (2009). Schools and obesity prevention: creating school environments and policies to promote healthy eating and physical activity. Milbank Quarterly, 87(1), 71-100. Centers for Disease Control and Prevention (CDC. (2011). School health guidelines to promote healthy eating and physical activity. MMWR. Recommendations and reports: Morbidity and mortality weekly report. Recommendations and reports/Centers for Disease Control, 60(RR-5), 1. Reger, B., Wootan, M. G., & Booth-Butterfield, S. (1999). Using mass media to promote healthy eating: a community-based demonstration project. Preventive Medicine, 29(5), 414-421. Finkelstein, E., French, S., Variyam, J. N., & Haines, P. S. (2004). Pros and cons of proposed interventions to promote healthy eating. American journal of preventive medicine, 27(3), 163-171. Hunt, P., Bradshaw, H., & Rayner, M. (1997). Health promotion interventions to promote healthy eating in the general population: a review. London: Health Education Authority.